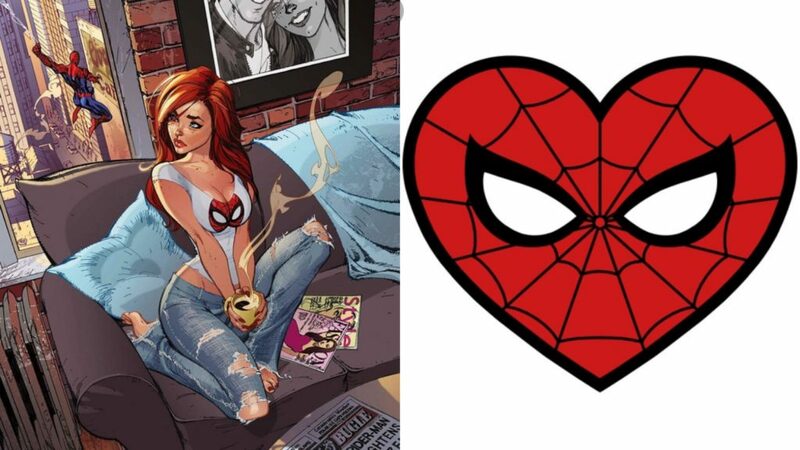 Mary Jane Spider-Man Shirt: How To Make a Casual Mary Jane Watson Cosplay! 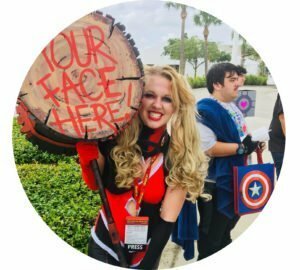 If you are a part of the cosplay community (which I assume you are, because why else would you be here?) then you have seen this Mary Jane Spider-Man shirt a time or two for a casual cosplay. Whether you are a fan of her off-the-cuff appearances in the comics or her newer renditions as Spinneret in the Earth-18119 series, she is a character that most cosplayers keep in their closets. So, in case you are in a rush and need a quick cosplay for your final convention day, or you are simply wondering how so many girls have this T-shirt, I’m going to show you my super quick, super easy DIY Spider-Man T-shirt tutorial. The reason so many girls utilize this version of MJ is because it is without a doubt one of the easiest and most popular female cosplays you can conjure up. This cute Mary Jane Spider-Man shirt just needs to be paired with some jean shorts, knee-high socks, and a red or auburn wig to complete the look. If you need some help on Mary Jane’s makeup, check out my Five Ways to Freckle makeup tutorial to go along with this DIY Spider-Man T-Shirt. Step 1. Create or find the Spider-Man heart shape design. Submit your email below for the free downloadable Spider-Man shirt design that I used! Step 2. Print it out. Use regular computer paper first to determine if your design needs to be bigger or smaller. Then, use white fabric transferable paper. I usually use the brand Avery, which you can get at Walmart or on Amazon. Print on the blank side of the paper. Normally, you would have to do a mirrored image before you transfer it, but since this is a symmetrical design, it works without needing to reverse it. However, I did (just to be safe) use this method for the downloadable version. Step 3. Trim around the design. Make sure there are absolutely no white edges or else it will transfer onto your shirt. Step 4. Iron it on. Make sure you place it exactly where you want it to go before you iron on your Spider-Man design. I also recommend using a cutting board or something to stretch out your shirt while you iron it on. Place it face down and use firm pressure to iron on the design. Use your body weight to press the iron down onto the design for one to two minutes. Move the iron left to right, then up and down to ensure the entire design is being transferred onto your shirt. Step 5. Let it cool. It’s recommended that you wait at least 24 hours to wear and wash your MJ Spider-Man heart shirt. And that’s it! You now officially have your own casual MJ cosplay. Or just a cute Spider-Man T-shirt. The instructions suggest washing your shirt inside out in cold water, and use tumble dry low to ensure your design stays on forever! Subscribe to my YouTube channel for more tutorials like this DIY Spider-Man T-Shirt!